2013 Toyota Sequoia Limited SUPER CLEAN! Leather seating, navigation, JBL sound system, sunroof, and DVD! You gotta see this one ! Your buying risks are reduced thanks to a CARFAX BuyBack Guarantee. This versatile SUV is perfect for families or contractors with its oversized cargo area, exceptional horsepower and option upgrades. This Toyota Sequoia Limited is for the discerning driver who demands the utmost of his vehicle. More information about the 2013 Toyota Sequoia: The Toyota Sequoia appeals to those who are in need of a serious hauler, whether it be for a trailer or for people. The Sequoia delivers just as much capability with nearly as much style and luxury features as many high-end luxury-brand SUVs, but at a lower price. The Sequoia's interior is spacious and comfortable and surprisingly flexible for people and cargo. Strengths of this model include smooth, powerful V8 options, generous standard features, and Brawny towing capability Patterson Auto Group Mission: From the beginning, owner Harry Patterson stressed a simple philosophy... If it's only good for me, it's not right. The transaction has to be good for the buyer and seller alike. Still active in the day to day operations, Patterson has continually made changes that make the buying experience easy. A few examples include: By listening to our clients, our team of trained, professional associates consistently provide a shopping, service and total ownership experience that exceeds each individual's expectations and fosters a Client For Life relationship. We are committed to being the best... We'll Prove it! We are ladies and gentlemen serving ladies and gentlemen. Simplified Pricing Who really likes to haggle over a car? Not us - and probably not you. So we cut to the chase up front and offer the rock-bottom price on each vehicle from the start. It's simple, hassle-free and it saves you money. Actual Cash Value We don't juggle numbers by showing you an inflated trade-in value - matched by an equally inflated price on the vehicle you're purchasing. We appraise your trade-in at actual market value. And we'll buy your trade-in even if you don't buy your vehicle from us. The Patterson Difference Patterson's is different from other dealerships in many ways our customers appreciate. These differences have made us the area's top volume dealer over the last three decades. 2017 HYUNDAI SANTA FE SPORT ULTIMATE AUTOMATIC LEATHER NAVIGATION SUNROOF ALLOY WHEELS ONE OWNER CLEAN CARFAX Located at 2900 Jacksboro Hwy Wichita Falls,TX. 76302. Patterson Dodge, Chrysler, Jeep, Ram, Kia. This 2017 Hyundai Santa Fe Sport comes with a CARFAX Buyback Guarantee, which means you can buy with certainty. This Hyundai Santa Fe Sport 2.0T Ultimate has a tough exterior complemented by a well-designed interior that offers all the comforts you crave. This vehicle has extremely low mileage on the odometer, so while it's pre-owned, it's practically new. More information about the 2017 Hyundai Santa Fe Sport: Starting at just under $25,000, the Santa Fe Sport competes with other small SUVs such as the Ford Escape and Toyota RAV4. Meanwhile, the long-wheelbase Santa Fe is more competitive with mid-sized SUVs such as the Toyota Highlander, Honda Pilot and Nissan Pathfinder, and with its standard 290-horsepower V6, it offers more power than all of them. The Santa Fe Sport, on the other hand, features a standard 6-speed automatic, and at 71.5 cubic feet of rear cargo space, it bests competition such as the Toyota Venza and Ford Edge. With strong styling and a long list of available features, the Santa Fe and Santa Fe Sport are appealing options. Interesting features of this model are two-or three-row seating, available all-wheel-drive, fuel efficient, Spacious, great warranty, and powerful Patterson Auto Group Mission: From the beginning, owner Harry Patterson stressed a simple philosophy... If it's only good for me, it's not right. The transaction has to be good for the buyer and seller alike. Still active in the day to day operations, Patterson has continually made changes that make the buying experience easy. A few examples include: By listening to our clients, our team of trained, professional associates consistently provide a shopping, service and total ownership experience that exceeds each individual's expectations and fosters a Client For Life relationship. We are committed to being the best... We'll Prove it! We are ladies and gentlemen serving ladies and gentlemen. Simplified Pricing Who really likes to haggle over a car? Not us - and probably not you. So we cut to the chase up front and offer the rock-bottom price on each vehicle from the start. It's simple, hassle-free and it saves you money. Actual Cash Value We don't juggle numbers by showing you an inflated trade-in value - matched by an equally inflated price on the vehicle you're purchasing. We appraise your trade-in at actual market value. And we'll buy your trade-in even if you don't buy your vehicle from us. The Patterson Difference Patterson's is different from other dealerships in many ways our customers appreciate. These differences have made us the area's top volume dealer over the last three decades. 2016 FORD EDGE SPORT 4WD AUTOMATIC LEATHER NAVIGATION POWER WINDOWS AND LOCKS ALLOY WHEELS CLEAN CARFAX Located at 2900 Jacksboro Hwy Wichita Falls,TX. 76302. 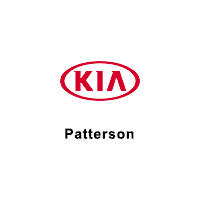 Patterson Dodge, Chrysler, Jeep, Ram, Kia. Your buying risks are reduced thanks to a CARFAX BuyBack Guarantee. Gone are the days of SUVs being the size of a tank and handling like one. This Ford Edge is a perfect example of how SUVs have evolved into vehicles that are as refined as they are rugged. Pull up in the vehicle and the valet will want to parked on the front row. This Ford Edge is the vehicle others dream to own. Don't miss your chance to make it your new ride. This AWD-equipped vehicle will handle beautifully on any terrain and in any weather condition your may find yourself in. The benefits of driving an all wheel drive vehicle, such as this Ford Edge Sport, include superior acceleration, improved steering, and increased traction and stability. Gently driven doesn't even begin to explain how lovingly cared for this ultra-low mileage vehicle has been. More information about the 2016 Ford Edge: The 2016 Ford Edge is a vast improvement over its predecessor. The Edge is often compared to the Nissan Murano, the Kia Sorento and the Chevrolet Equinox however, the Edge comes with a more powerful set of powertrains and more competitive fuel economy. Passenger volume, rear legroom and cargo capacity are among the best in the category. Interesting features of this model are Range of efficient powertrains, stylish and refined, and strong safety feature set Patterson Auto Group Mission: From the beginning, owner Harry Patterson stressed a simple philosophy... If it's only good for me, it's not right. The transaction has to be good for the buyer and seller alike. Still active in the day to day operations, Patterson has continually made changes that make the buying experience easy. A few examples include: By listening to our clients, our team of trained, professional associates consistently provide a shopping, service and total ownership experience that exceeds each individual's expectations and fosters a Client For Life relationship. We are committed to being the best... We'll Prove it! We are ladies and gentlemen serving ladies and gentlemen. Simplified Pricing Who really likes to haggle over a car? Not us - and probably not you. So we cut to the chase up front and offer the rock-bottom price on each vehicle from the start. It's simple, hassle-free and it saves you money. Actual Cash Value We don't juggle numbers by showing you an inflated trade-in value - matched by an equally inflated price on the vehicle you're purchasing. We appraise your trade-in at actual market value. And we'll buy your trade-in even if you don't buy your vehicle from us. The Patterson Difference Patterson's is different from other dealerships in many ways our customers appreciate. These differences have made us the area's top volume dealer over the last three decades.